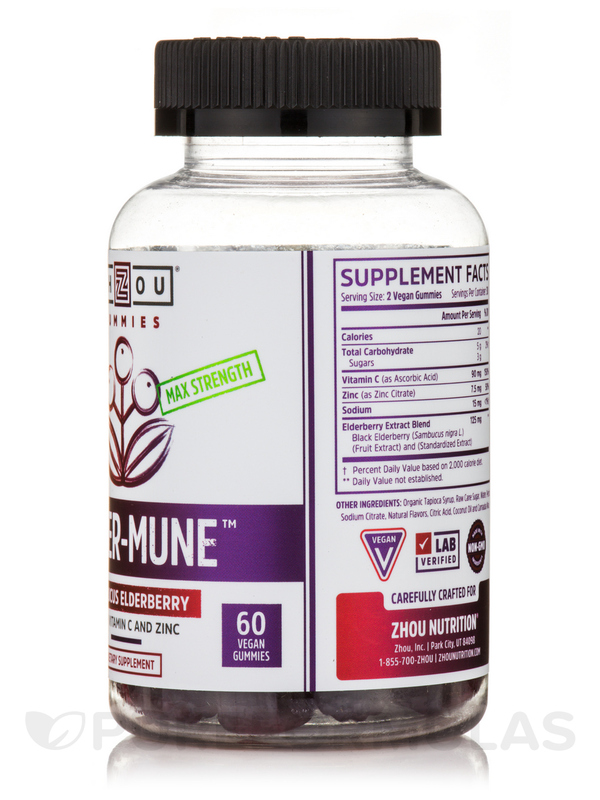 3-in-1 Immune Boost: Elder-Mune is the immune system booster you need to fuel your immunity through any season. 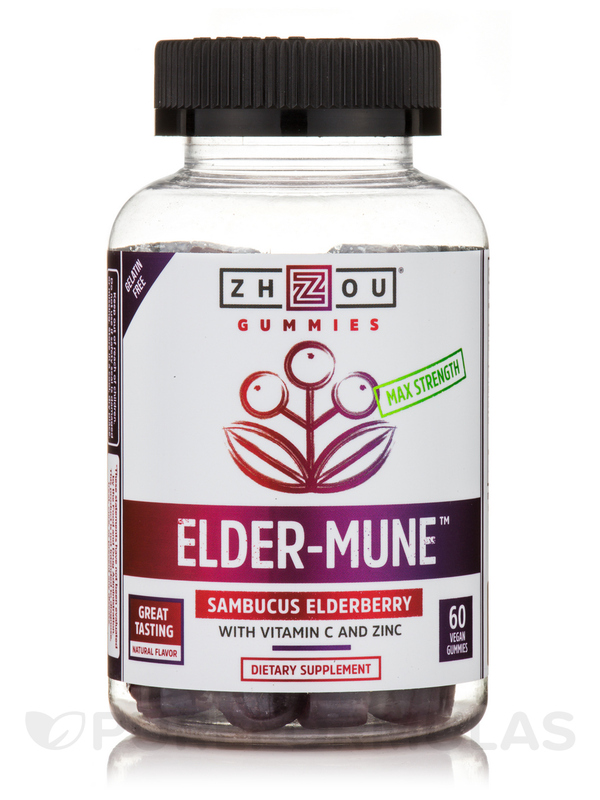 Sambucus Elderberry‚ a potent antioxidant extract that has been used for centuries to help support immune system health‚ is combined with immunity boosters vitamin C and zinc to create Elder-Mune‚ 3-in-1 immunity boosting elderberry gummies. 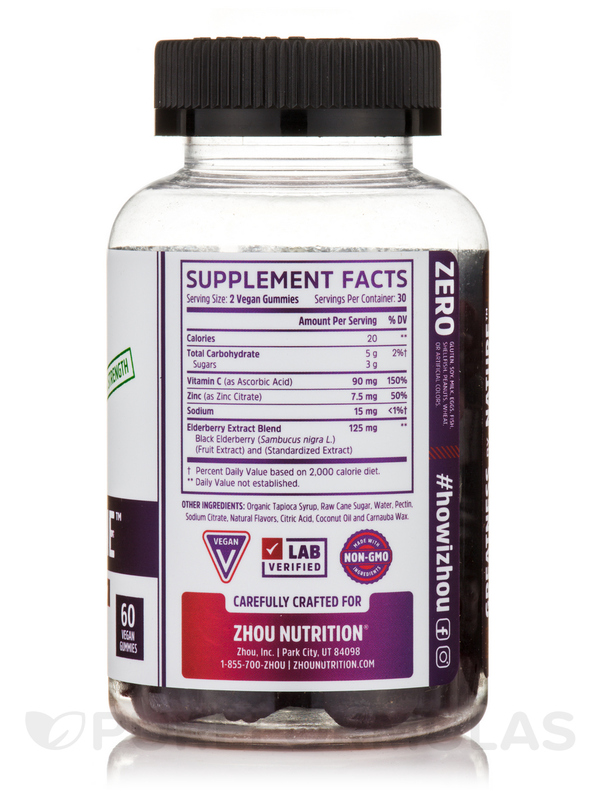 Your Antioxidant Powerhouse: Antioxidants are your wellness BFFs‚ working to fight off free radicals and keep your body healthy‚ balanced‚ and functioning properly. Elderberry is world famous for its antioxidant power‚ giving you a leg-up during seasonal changes‚ and keeping you running at full-speed all year long. Take Elder-Mune to power-up your immune system and fight back. 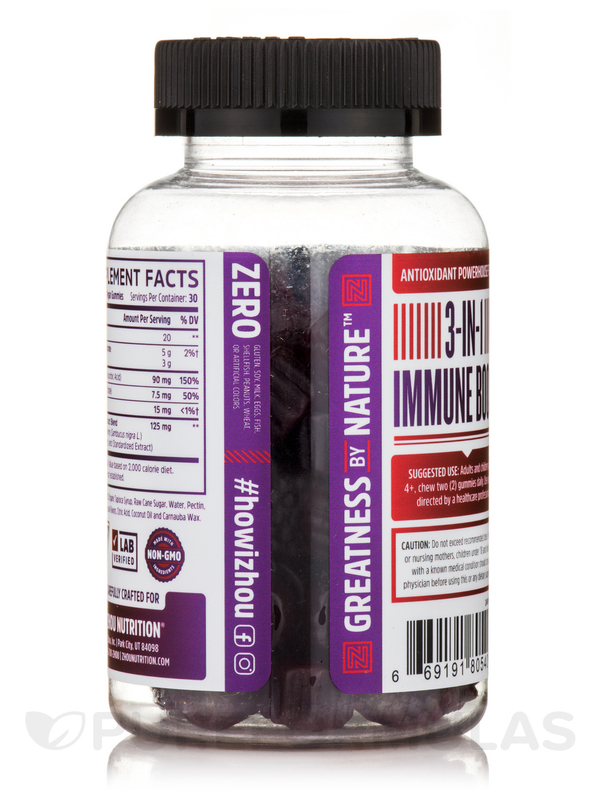 Max Strength Elderberry Power: Elder-Mune gives you what other elderberry gummies can’t: one of the highest potencies of Sambucus Elderberry on the market‚ with 125mg per serving. 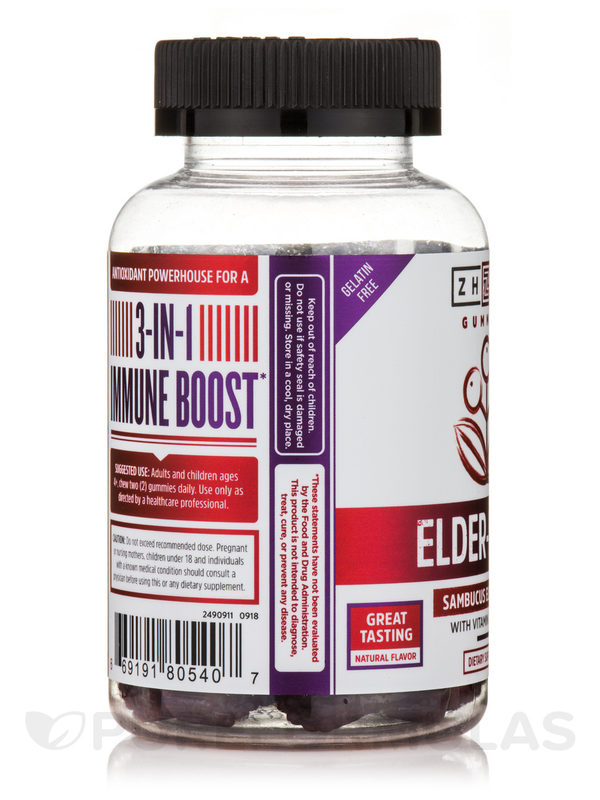 Elder-Mune’s standardized‚ lab-tested extract is cultivated in Europe from black elderberry with a natural flavor that tastes great. 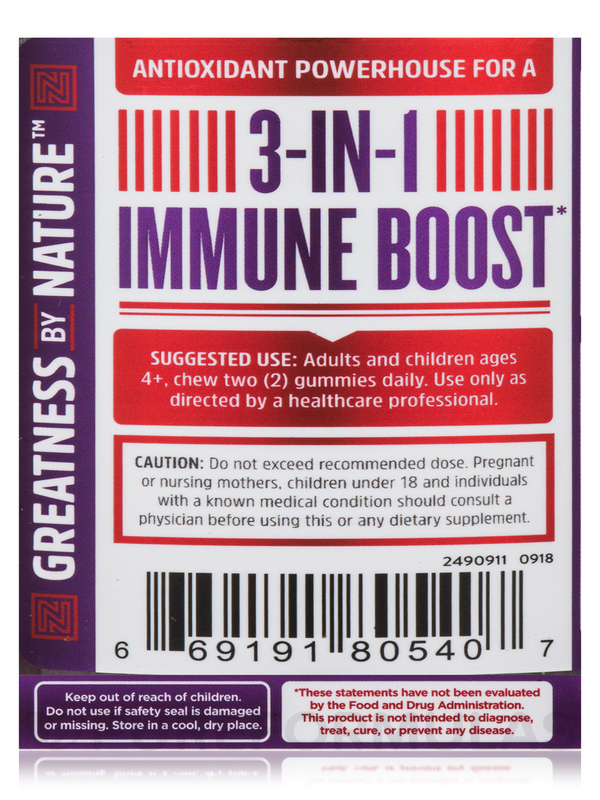 Immune Support for the entire family: Your whole crew will love taking Elder-Mune‚ and the delicious flavor will keep both kids and grown-ups coming back for more. 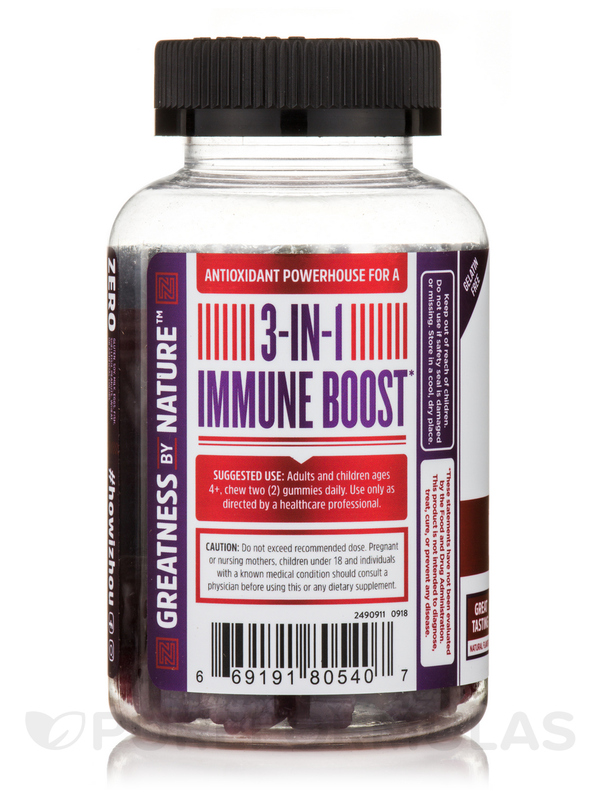 With ingredients you can feel good about‚ elderberry‚ vitamin C‚ and zinc are critical immune boosters that offer powerful immune support for kids‚ helping them through any season. †Percent Daily Value based on 2‚000 calorie diet. Other Ingredients: Organic tapioca syrup‚ raw cane sugar‚ water‚ pectin‚ sodium citrate‚ natural flavors‚ citric acid‚ coconut oil and carnauba wax. No: Gluten‚ soy‚ milk‚ eggs‚ fish‚ shellfish‚ peanuts‚ wheat‚ or artificial colors. Vegan / Vegetarian / Made with Non-GMO Ingredients. 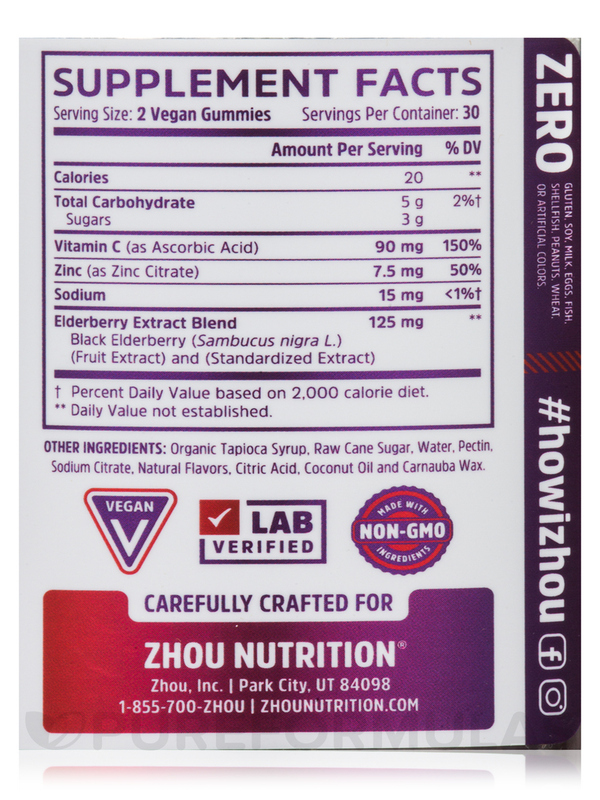 Adults and children ages 4+‚ chew two (2) gummies daily. Use only as directed by a healthcare professional.